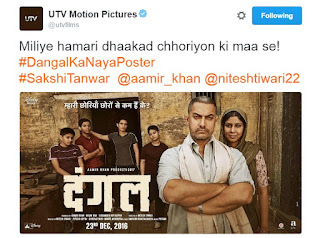 UTV Motion Pictures just released the new poster of Aamir Khan's upcoming film 'Dangal' and it will certainly catch your attention. 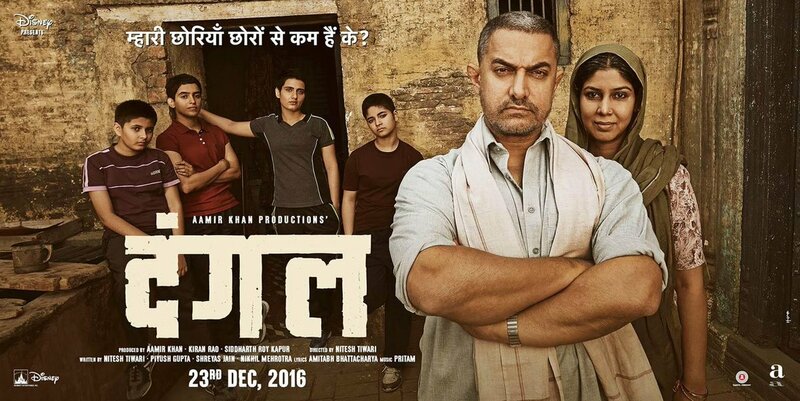 In 'Dangal', which is set to release on the 23rd of December, Aamir would be essaying the role of Indian wrestler and Olympic coach, Mahavir Singh Phogat. Aamir has worked really hard on his physique to get him ready for the part as was evident from a recently released video titled "Fat To Fit". 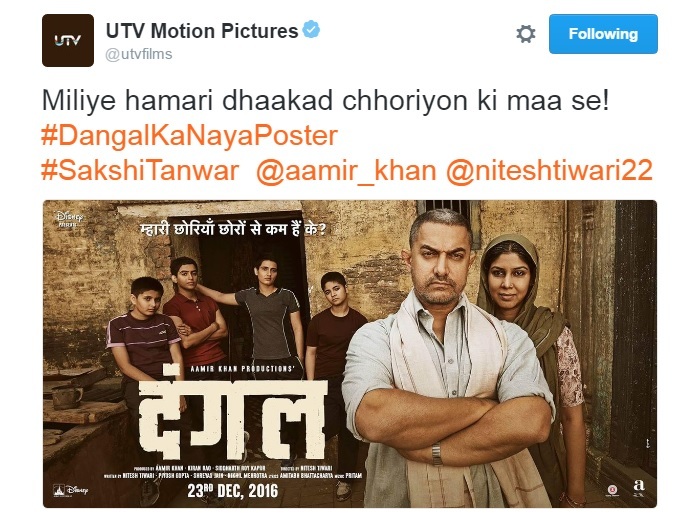 The new 'Dangal' poster depicts Aamir in all his serenity but with a determined look on his face. Behind him stands firm Sakshi Tanwar. In the background, we see the girls who without doubt are the real stars of the film. Like the earlier posters, the new poster too bears the rhetorical question: "You think our girls any lesser than boys?"